Area : 16.527 sq km. Climate : Max. 31° C and Min. 16° C in summer. Max. 24° C and Min. 4° C in winter. Language : English, Hindi, Nagamese and local dialects. Rainfall : 200 cm to 250 cm. 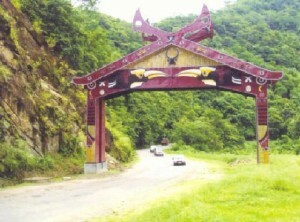 The state of Nagaland is situated in the north-eastern corner of the country. In 1963 it was formed as the 16th state of the Indian union. The state is sometimes referred to as the ‘Switzerland of the east’; the exquisitely picturesque landscapes, the vibrantly colourful sunrise and sunset, lush and verdant flora. Tiger, Leopard, Elephant, Sambar, Wild Buffalo and Bear people its deep jungles while its vast expanses of paddy fields, fed by an elaborate indigenous irrigation system, are a veritable feast for the eyes. This is a land that represents unimaginable beauty, molded perfectly for a breath taking experience. 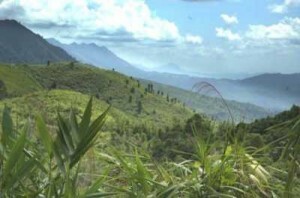 For the adventurous and the intrepid, Nagaland is an ideal place for trekking, rock climbing, jungle camping and offers limitless exploration possibilities in its lush and verdant sub-tropical rain forests which are also a treasure trove of a plethora of medicinal plants. The population of Nagaland is entirely tribal. There are several Naga tribes, major are the Angami, Ao, Chakhesang, Lotha, Khemungan, Konyak, Chang, Rengma, Sangtam, Phom, Pochury, Yimchunger, Sema, and Zeliang. 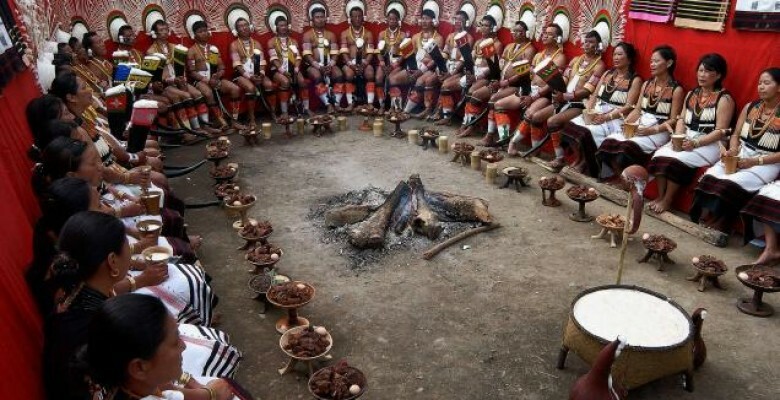 Naga people, by nature, are lovers of fun and frolic and here life is one long festival. Above all, all the people here are warmhearted and extremely hospitable. Naga food consists of rice with vegetables, fish and meat. Nagas are fond of chillies and can fill their mouth with chillies. Types of meat are beef, pork and chicken. Nagas also eat dogs, cats, fish, crabs, mithun, spiders and birds. Air: Dimapur the only airport in Nagaland is connected by air to Delhi and Kolkata and rest of the country. Rail: Dimapur, the important Railhead in Nagaland, is on the main line of North-Eastern Frontier Railway. Road: All important towns and villages in the state as well as major part of the country are connected by good road network. Travel Spot: Dimapur, Mokokchung, Phek, Wokha, Kohima, Mon, Tuensang, Zunheboto. This entry was posted in Nagaland and tagged about nagaland, nagaland city, nagaland map, nagaland tour, nagaland tours, State. Bookmark the permalink.